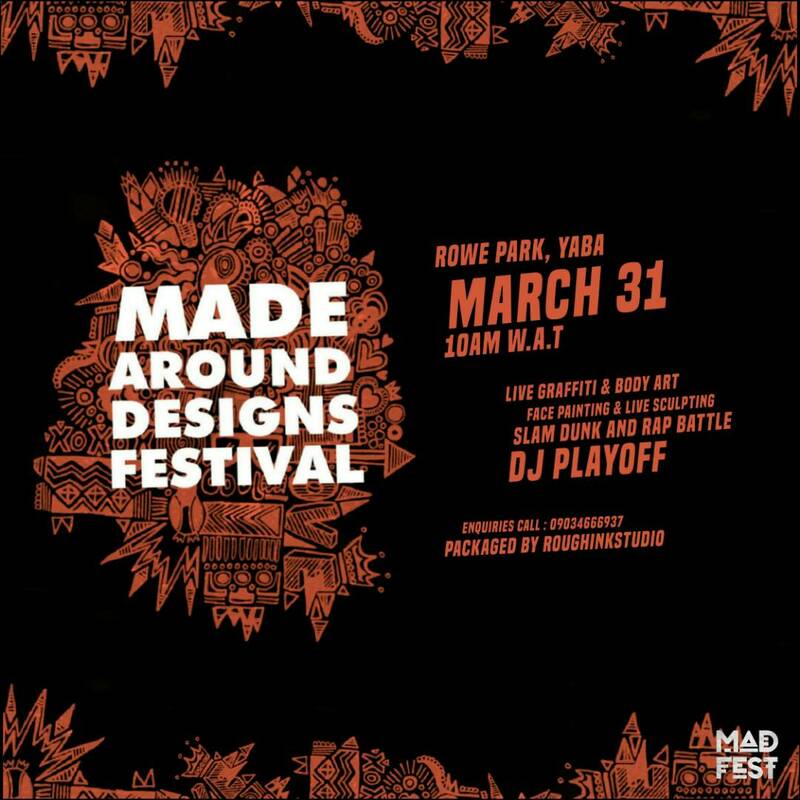 In a bid to celebrate diverse artistic expression, RoughInk Studio will be shutting down Rowe Park, Yaba on the 31st of March for the “Made Around Designs Festival (Mad Fest)”, a bigger and better edition of the last one held in OAU(obafemi Awolowo University) . 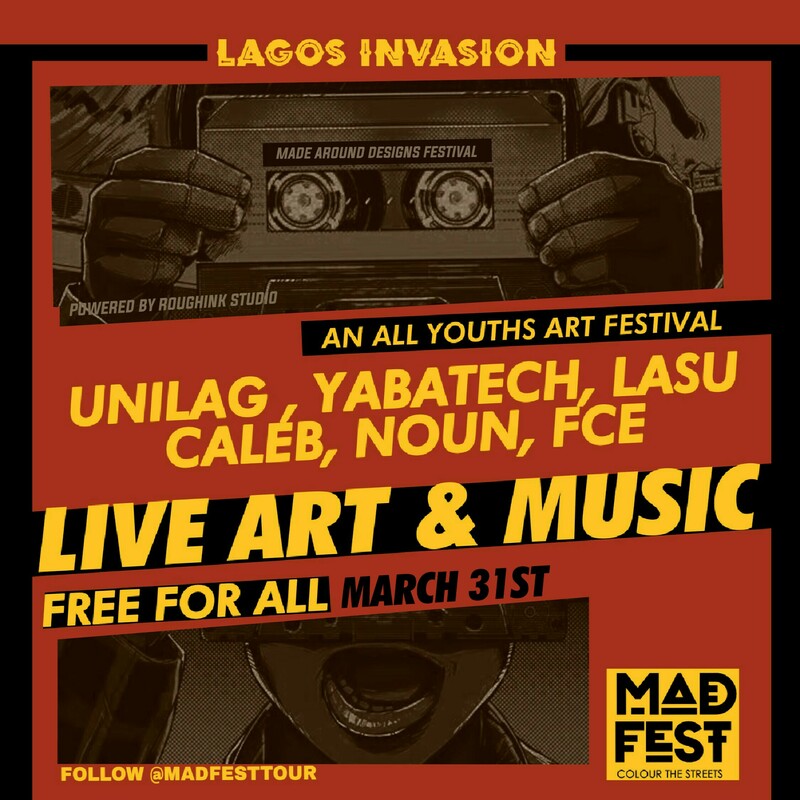 Tagged the “Annual Music And Art Tour”, this festival will provide 10 hours of uninterrupted fun with live DJ sets, games, rap battle, face painting, body art, graffiti, live painting and contemporary dance performances. In between drinks and great food, you will also enjoy exciting artiste performances set to thrill you with their musical catalogue whilst we also have the artists painting and Sculpting live. There will also be a full-on dance party with about several DJs alternating for a 10-hour set, thrilling everyone with vibes that cut across varying genres of music. Then at the heart of everything, there will be giveaways from several supporting brands and sponsors. So, don’t waste any time, just clear your calendar from now and prepare to have a great Saturday.